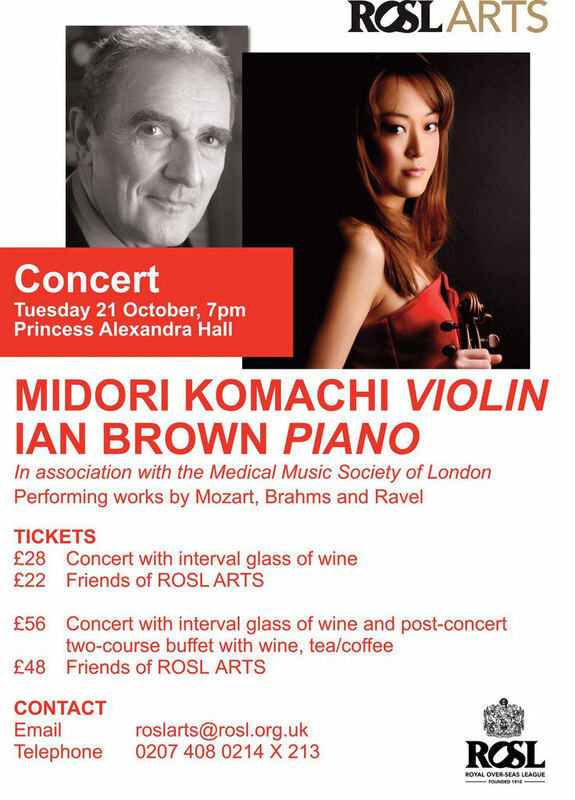 £22 for members of Medical Music Society of London and Friends of ROSL Arts, or £48 including post-concert buffet supper. Non-members: £28, or £56 including post-concert buffet supper. All prices include interval drink.